January 1, 2015. A beautiful, 35-degree, sunny day. 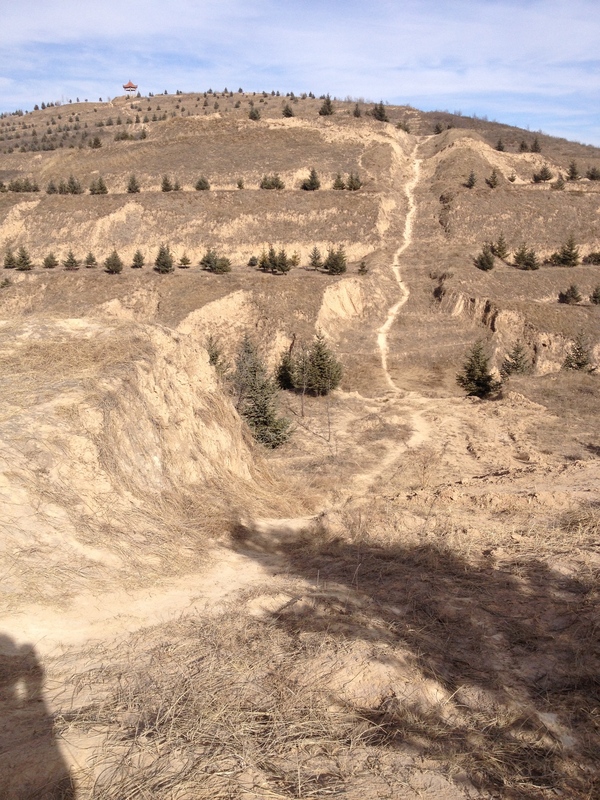 With the day off, it was only natural to head towards Dongyue Mountain for an afternoon hike! My new UMC missionary pedometer at my hip, I set out, discovering that it is a 2 mile walk from my home to the base of Dongyue. I began the climb; stair after stair after stair. I have now ascended these flights of stairs multiple times, and each climb I learn something new. It is most fascinating to observe how the locals are handling the climb. Dongyue provides retreat for both family outings and the solitary walker. No matter how young, the climbers tend to take their time, rising slowing up each step, hands held together behind the back. I, on the other hand, tend to scale each flight breathlessly, eager to reach the peak. 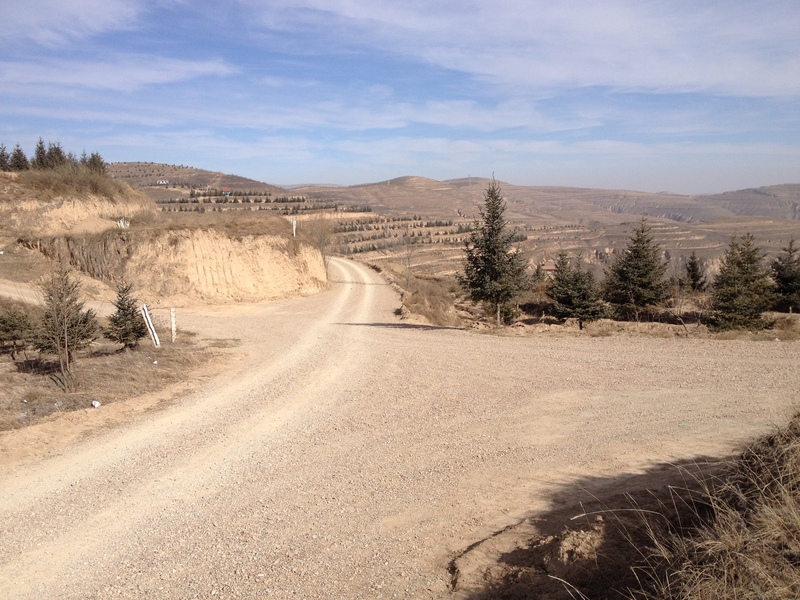 But this time, I thought I would take the climb like the locals, slowly and thoughtfully. Upon reaching the top, I was a little discouraged to discover that the climb is only a half mile! That half mile is hard work, harder than the two miles it took to get to the mountain itself. No matter how fast or slow you go it is impossible not to breathe heavier and work up a sweat. With the semester coming to a close I realize how similar my stair-climbing has been to my daily life in Guyuan. It is so easy to fall into the rhythm of the stairs, moving breathlessly from lesson to lesson without thinking, awaiting the end. But no matter what pace you take, the climb is still the same number of steps to reach the half mile. With this perspective, being too ambitious is a downfall. Hustling up the stairs you miss out on the view of the city, the Buddhist temples at each landing, and the hidden pagoda amidst the trees. 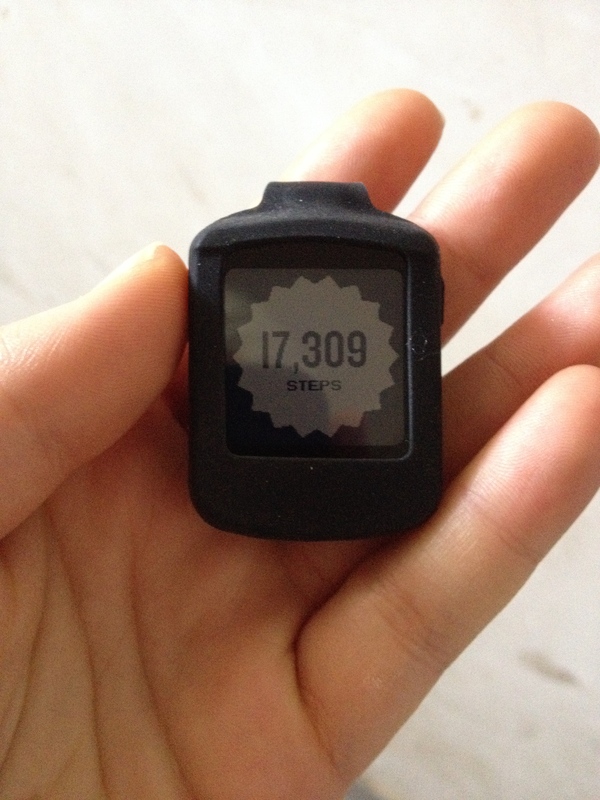 In many ways, my first semester in Guyuan has been a blur of steps. Challenge after challenge has led me to push harder and harder. There have been times when I have stopped on a ledge to reflect and breathe in gratitude, but ultimately, I find myself at the top of the mountain breathless, only to realize this is not the end. There is still a path ahead. 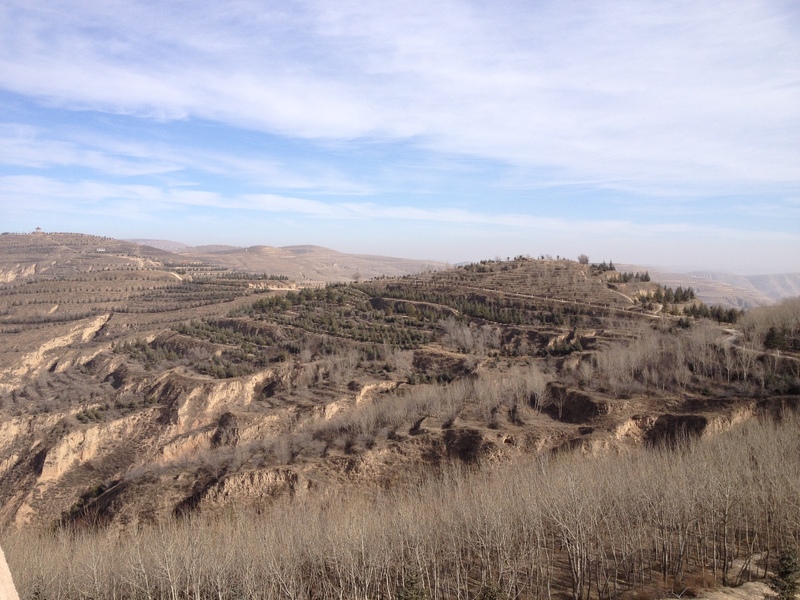 Standing atop the Dongyue fortress, I love looking south, away from the city, to the rustic countryside of terraced hills. To the east stands a lone pagoda, which has always seemed so far away. But today I spotted bits and pieces a winding pathway. I bet I can get there I thought to myself, and I set off for a new adventure. Can you spot the pagoda (a mere dot on the left)? My feet wandered blissfully, breathing in the fresh air, mind pondering. The clear pathway came to a fork…led by the spirits of nature, I moved on. The pagoda came closer and closer, but the path became less distinct. 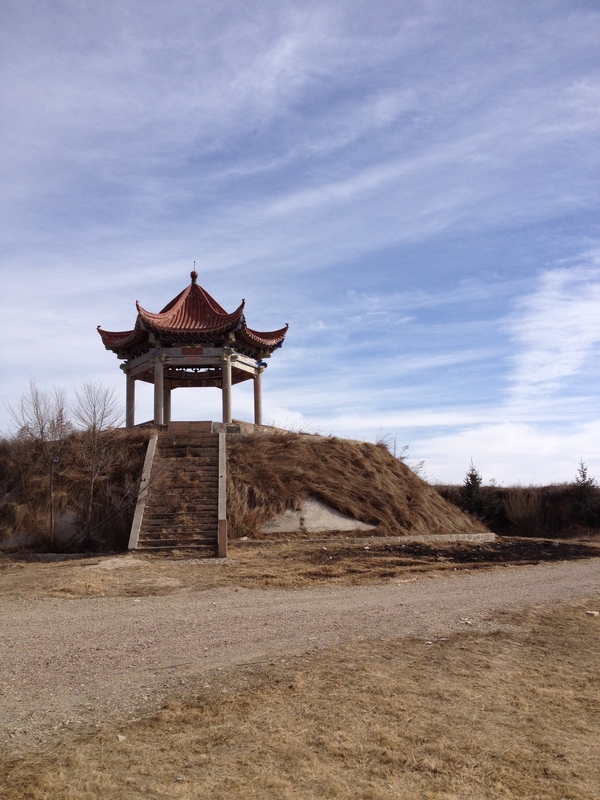 Soon, it had diminished into a field of thorns and the uphill climb put the pagoda out of sight. I stood there for a moment, not discouraged but thoughtful. Upon closer examination I moved logically, finding small clearings between bushes, and finally the goal was in sight again. Ascending the few broken stairs of the crumbing pagoda, I felt like I was on the top of the world. I looked west towards the fortress, marveled at the dynamic path, and gave a shout of joy! Happy New Year! But once again, I had reached a seeming end to the journey….but my journey was far from over. I either had to head back west the way I came to make it home, or keep heading east assuming that what went up must come back down. My feet led eastward. This leg of the journey was less dynamic. The path stayed wide and clear, but yet, fear settled in. I kept walking and walking…where was this path leading? What if I am going the wrong way? Where will I end up? In these moments I forced myself to look north, the city expansive on the horizon, and find familiar markers. It reassured me I was not lost. Finally the path steeply descended, and stepping over a forgotten barbed wire fence I found myself at back at the Guyuan highway…just 4 miles east of where I began! I found this journey to be incredibly revealing. There is both a blessing and a curse to being on a semester schedule. Semester timing provides a designated time frame for goal making and gives a sense of completion at the end, but sometimes the end districts from living in the moment. It is easy to check this semester off my list – one down three to go – but just like my hike, I know that there are pathways beyond each pagoda. My walk was a good reminder not to focus on the end of my journey as a Global Mission Fellow as the ultimate goal, but to find joy in the little discoveries and challenges along the way. This semester I have been at the fork in the road, I have managed my way through thorns, I have doubted my call and my path, and have had incredible moments of happiness and completion too. Just like I kept my eye on the city of Guyuan as a I forged my way along the path, so I keep my heart focused on God as I live out each day. As long as He is there, I cannot stray, my doubt disappears, and the path is clear. For many people, the new year comes with resolutions of renewed eating habits, fitness goals, and spiritual disciplines. I encourage you too take the stairs. Ascend each step with purpose and deliberation, knowing that challenges and discoveries await you; knowing that your path is laid out before you. Pretty solid pedometer day I’d say!